The approxiate total cost of building the shell of extension can be seen below. 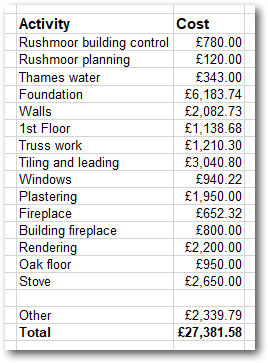 This does contain item like plastering, electrics, plumbing, fireplace, oak floor, windows and even the the wood stove. 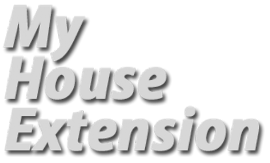 Whether you self build, as i I did with the single storey extension or manage contractors as I did with the two-storey extension you will save a lot of money over hiring a manager/builder I believe. This two-story extension cost around £27,000 and I received several quotes in the region of £100,000 to complete the work and those quotes did not include roofing, windows, plumbing and electrics!